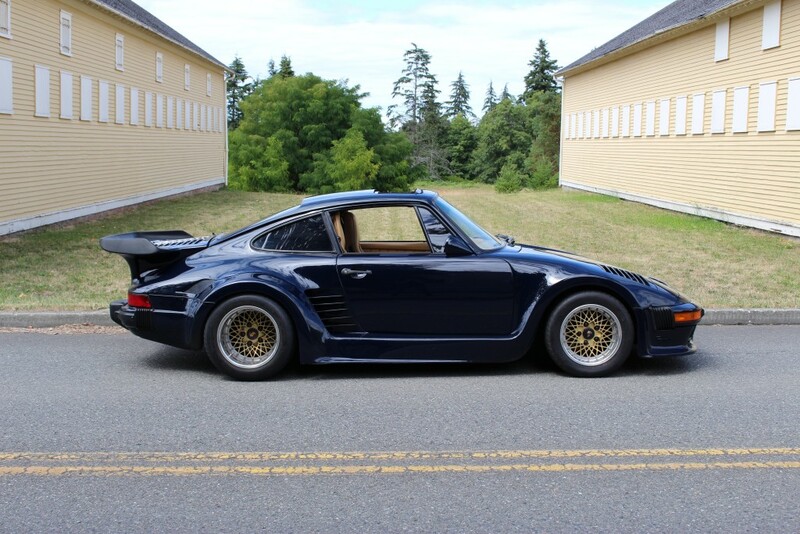 Many consider the Porsche 935 to be the ultimate refinement of purpose built, rear-engine race cars. 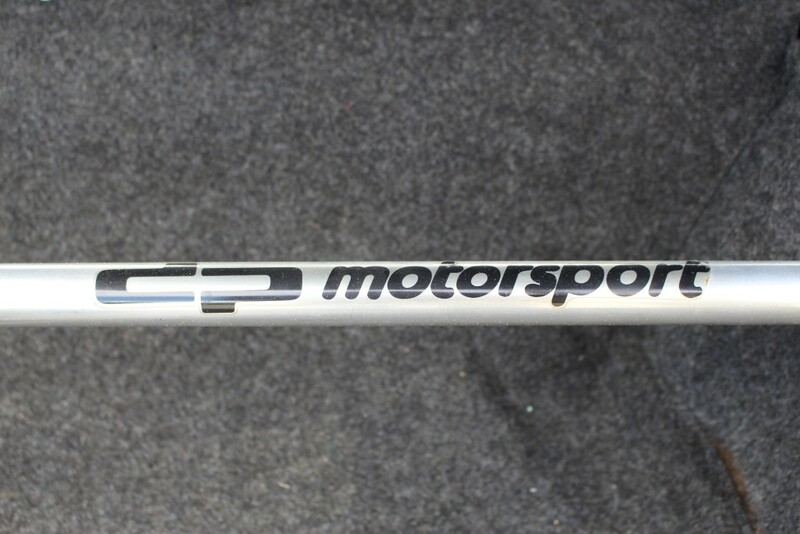 They won many races in the hands of the worlds best drivers. 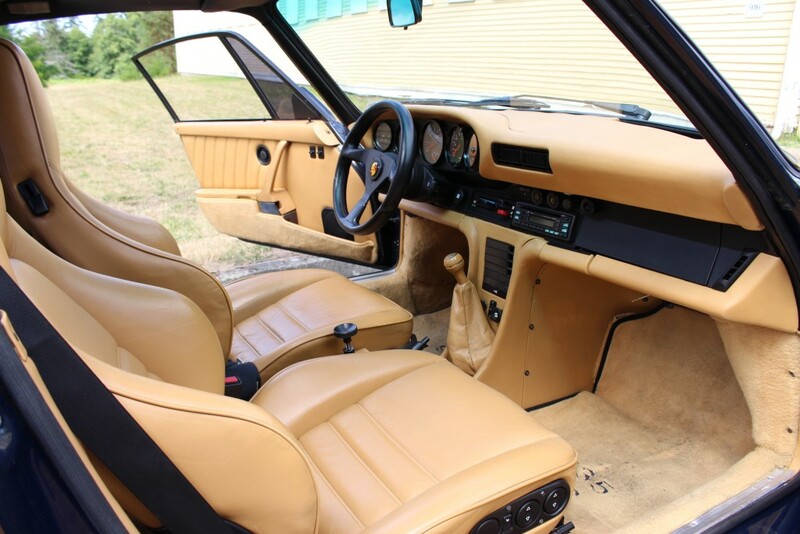 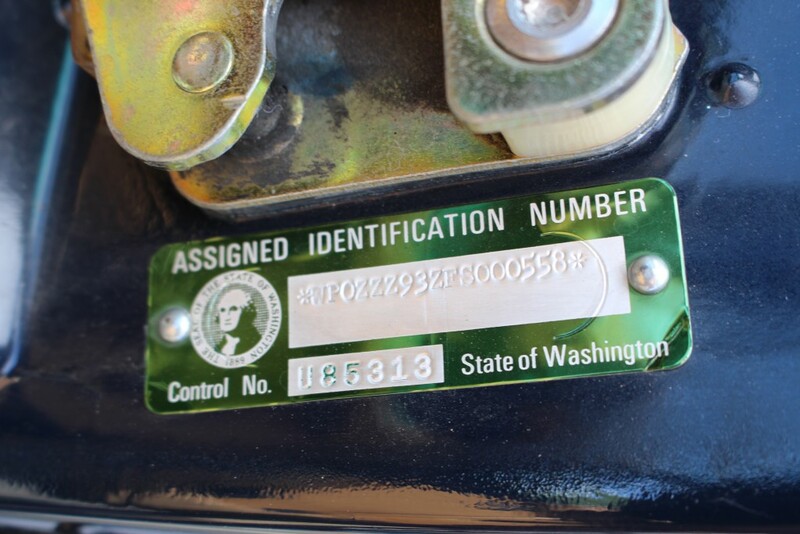 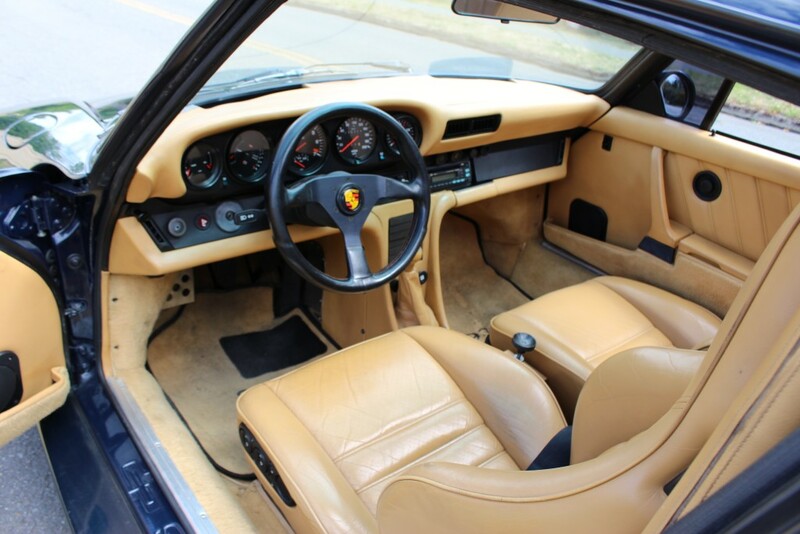 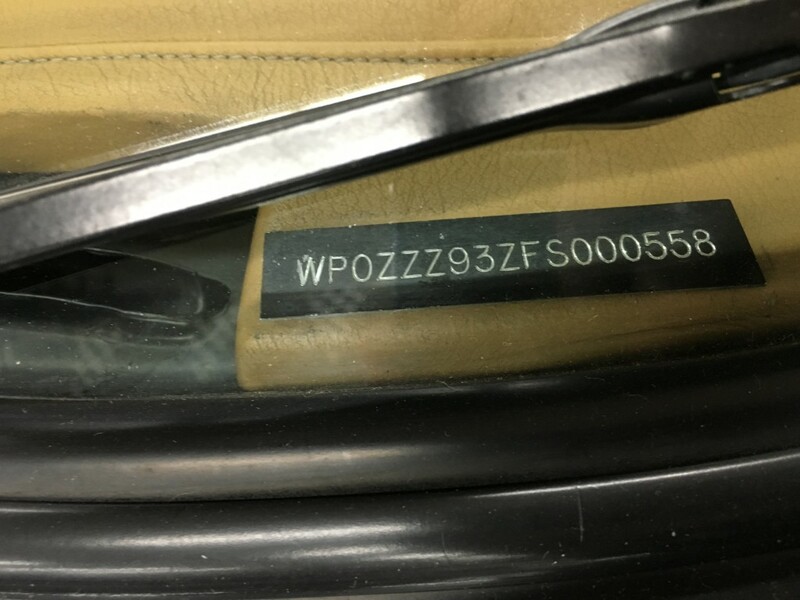 The DP935 was the ultimate road going Porsche of the period, and this 1986 car, chassis #WPOZZZ93ZFS000958, is believed to have been delivered to Mario Andretti as new. 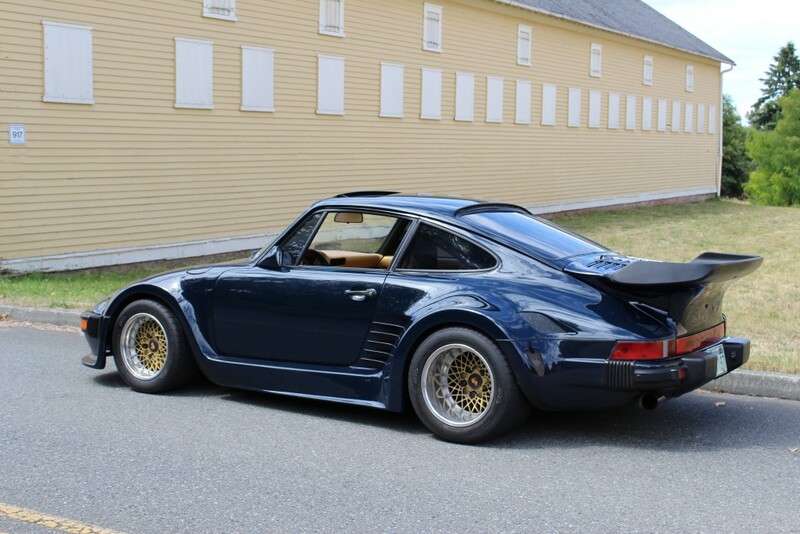 Totally original in deep blue/tan, original BBS rims, adjustable boost and huge intercooler. 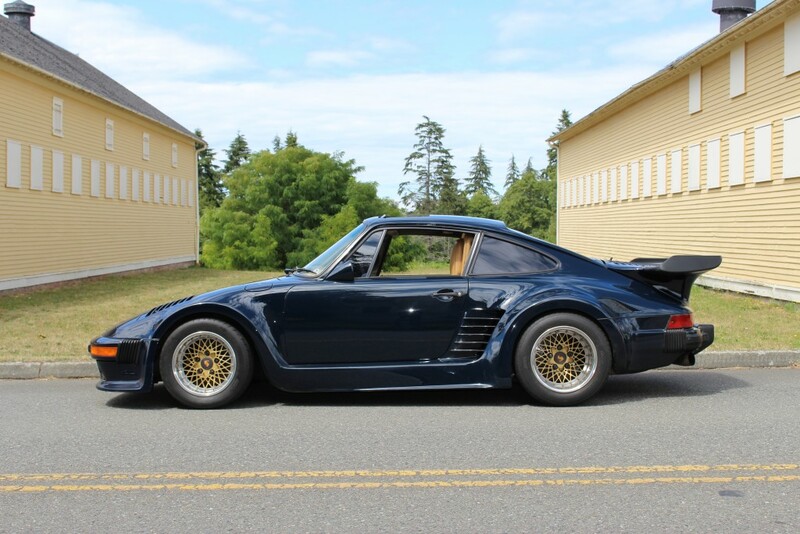 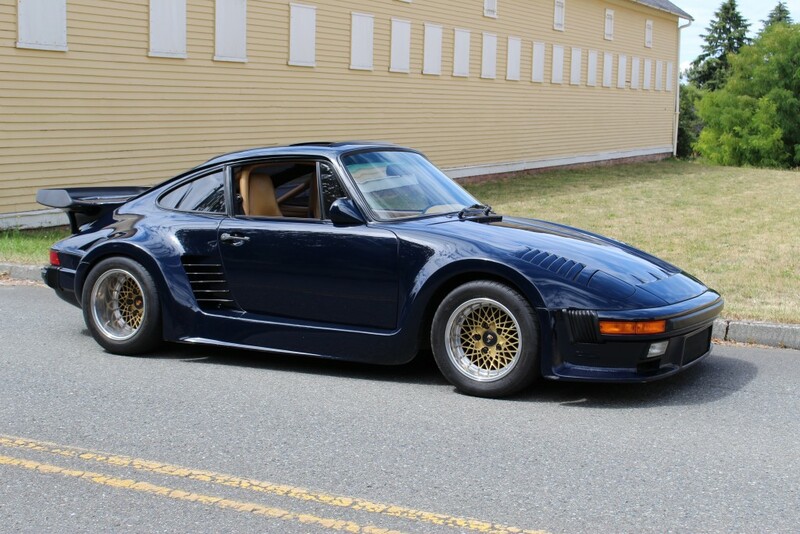 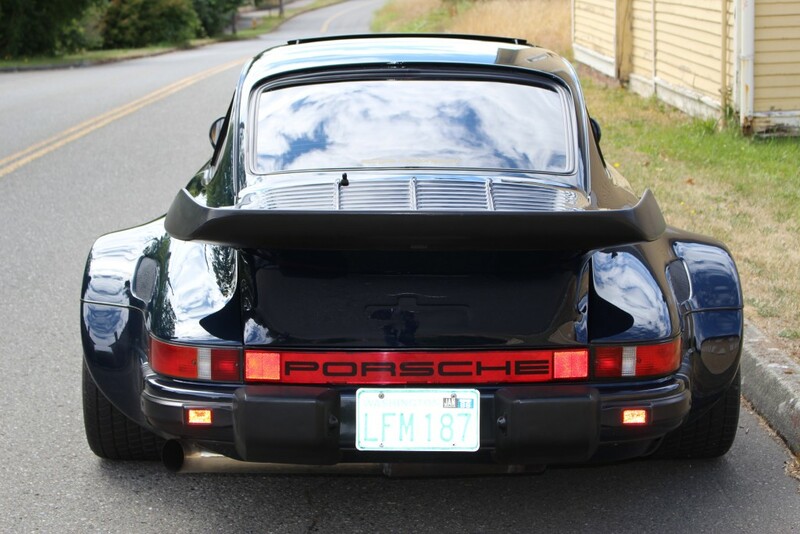 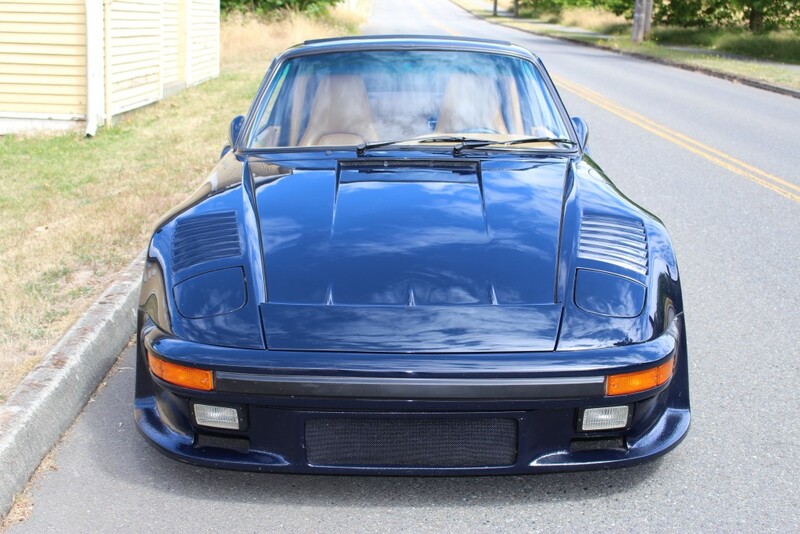 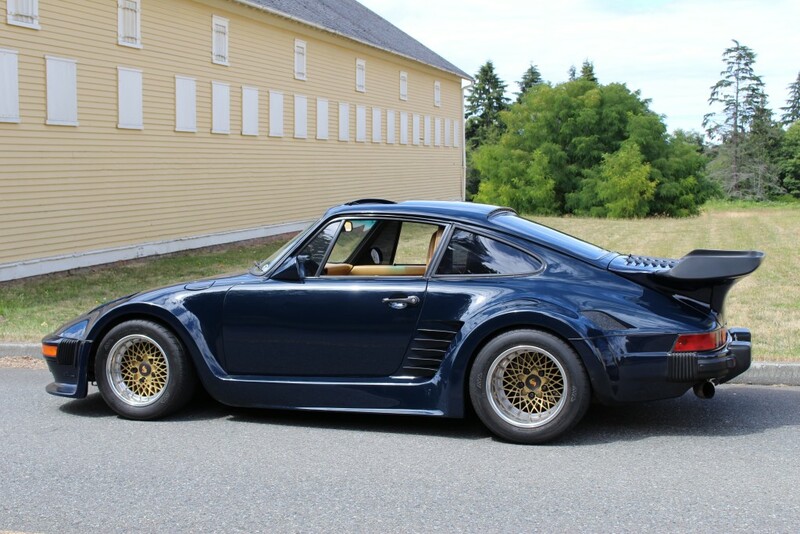 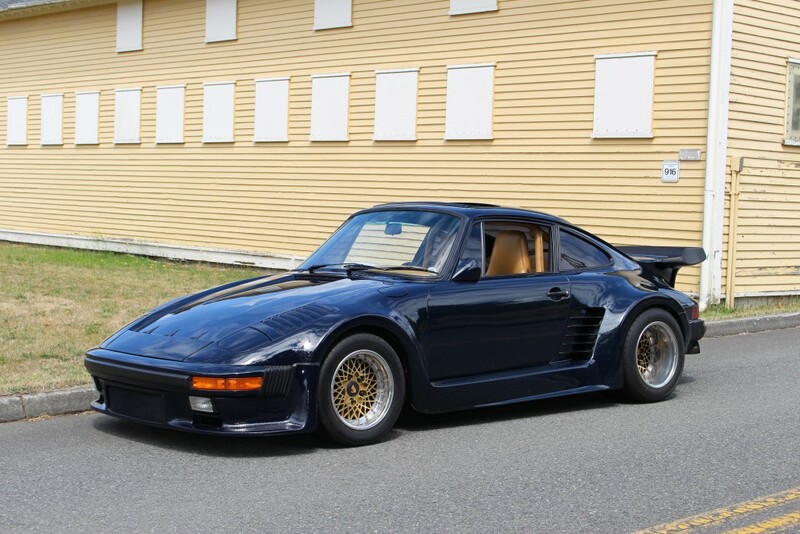 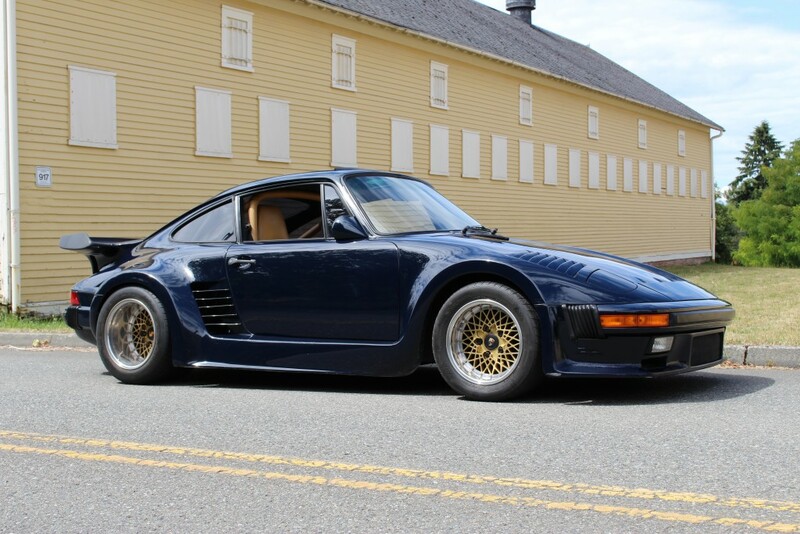 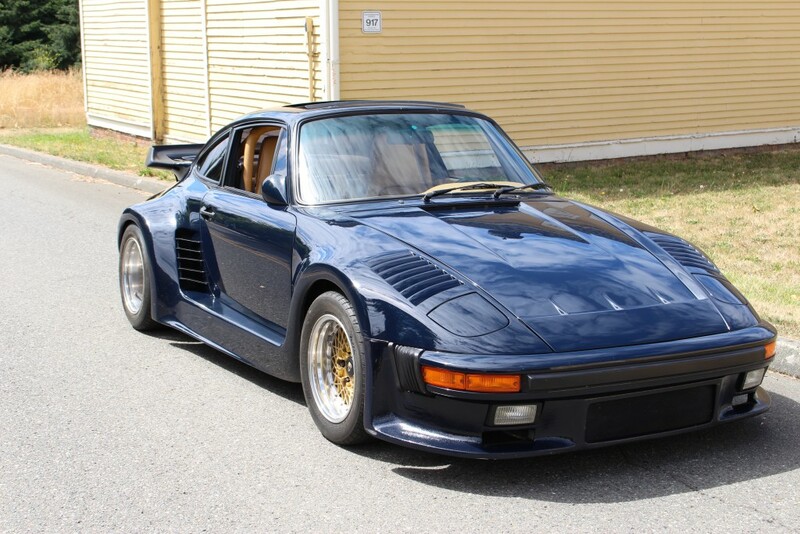 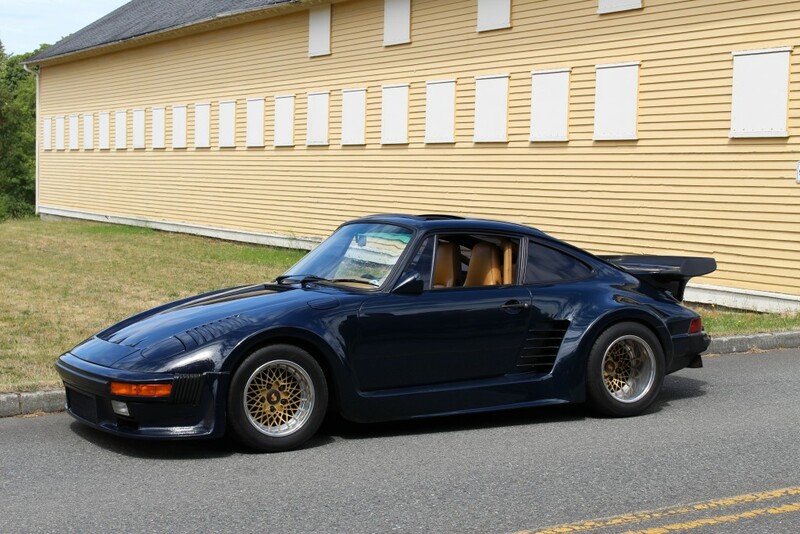 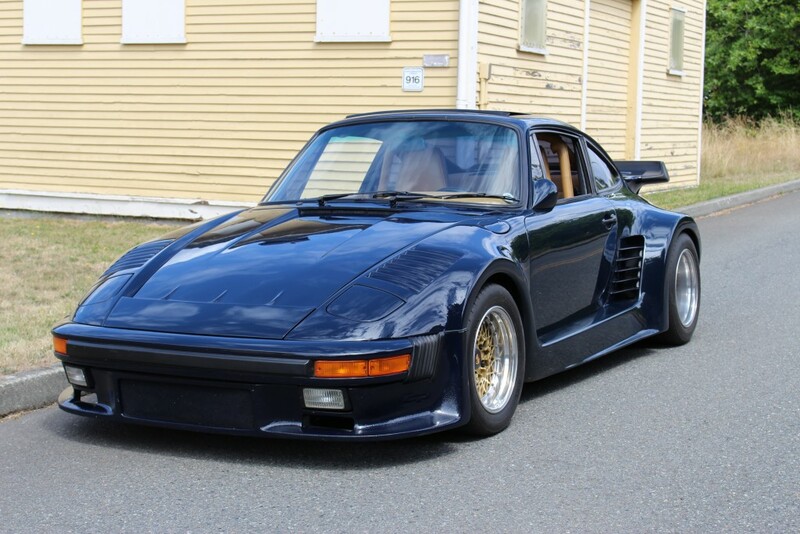 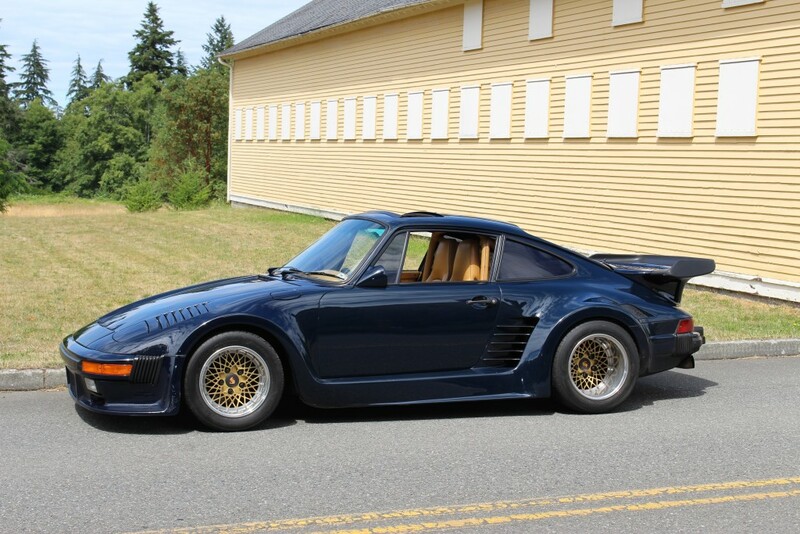 This 1986 Porsche 935 DP began life as a factory 930 Turbo model. 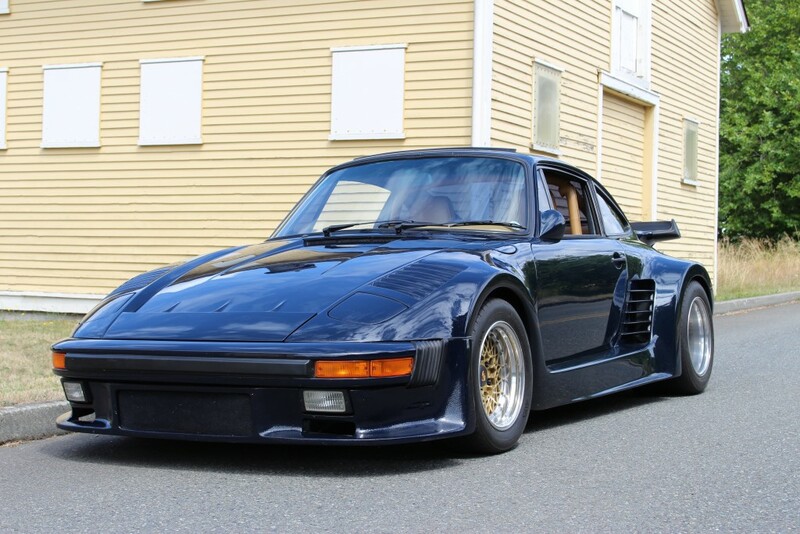 It was delivered to Kremer for transformation to 935 specifications and then sent to DP Performance for its Kevlar bodywork, which included the favored slant-nose front end with lower oil cooler scoop, brake cooling scoops and retracting headlights; extended rocker sills and prominently flared fenders. 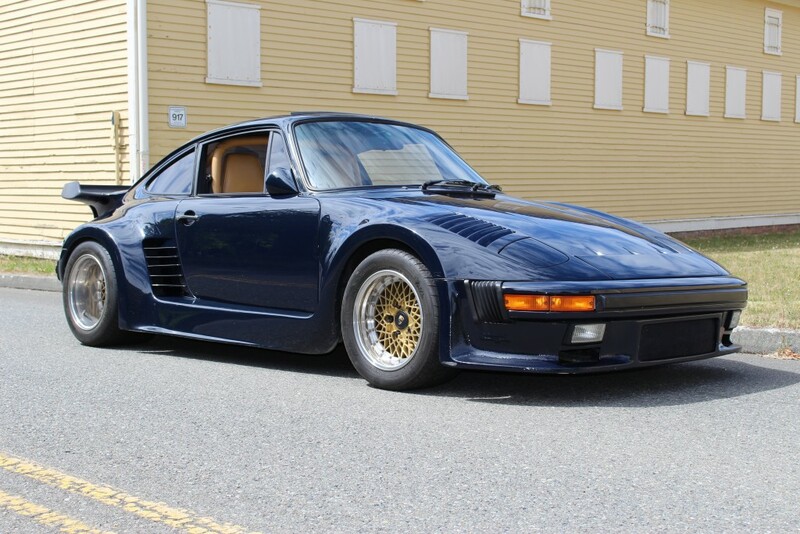 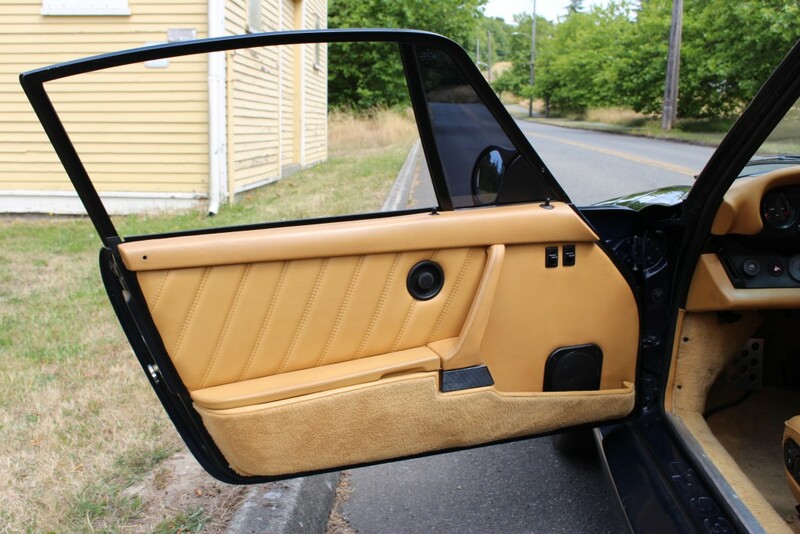 Finished in deep blue with a tan leather interior, it was imported to the United States as a lightweight street-legal race car packing a heady 500+ turbocharged horsepower. 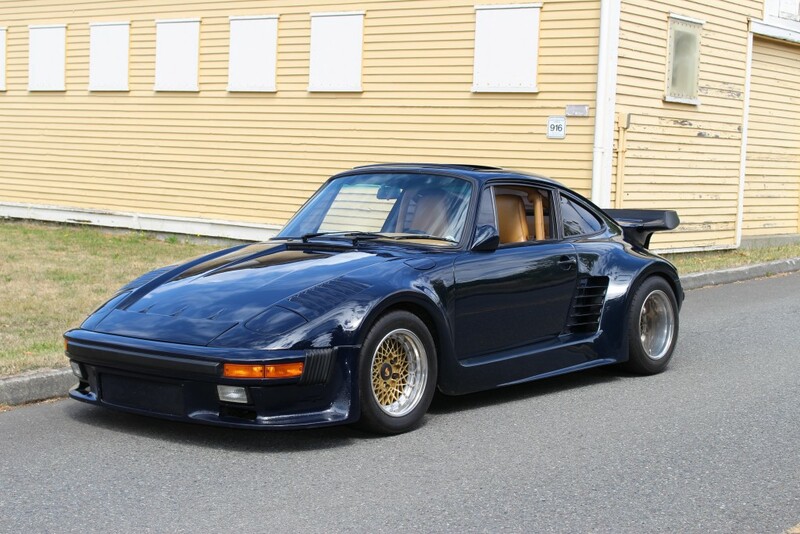 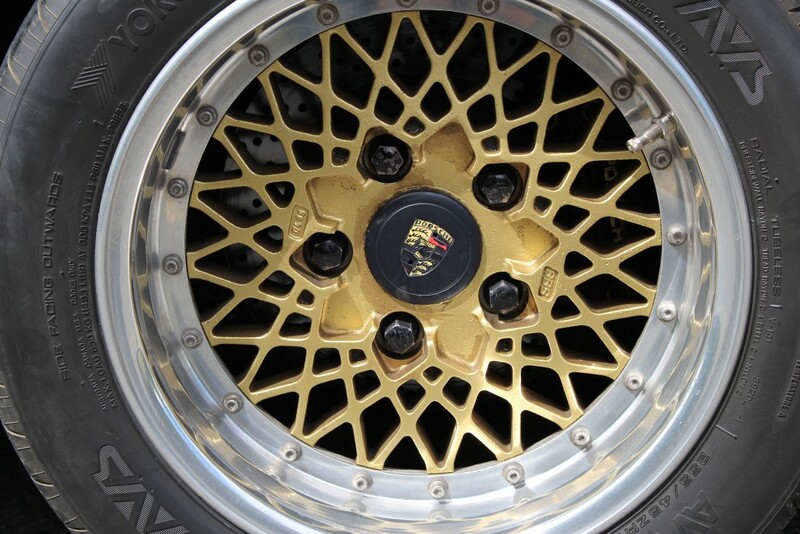 This is an actual DP 935 Turbo from Germany. 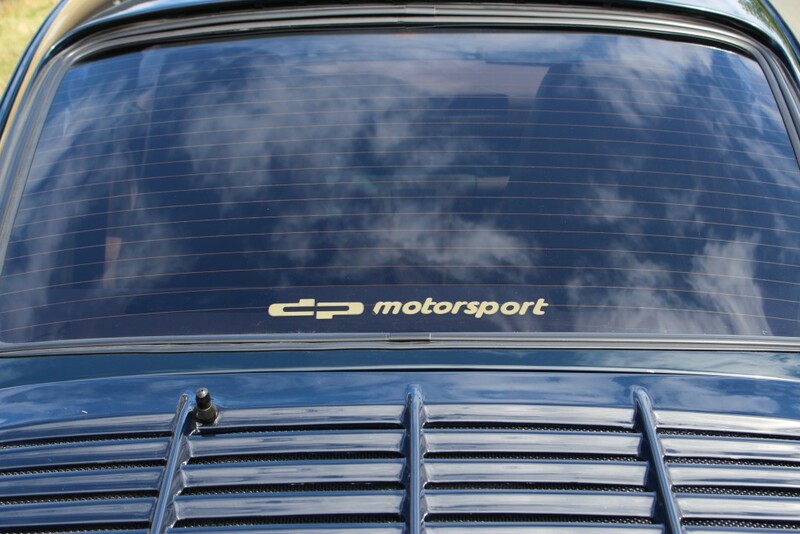 It is not a clone! 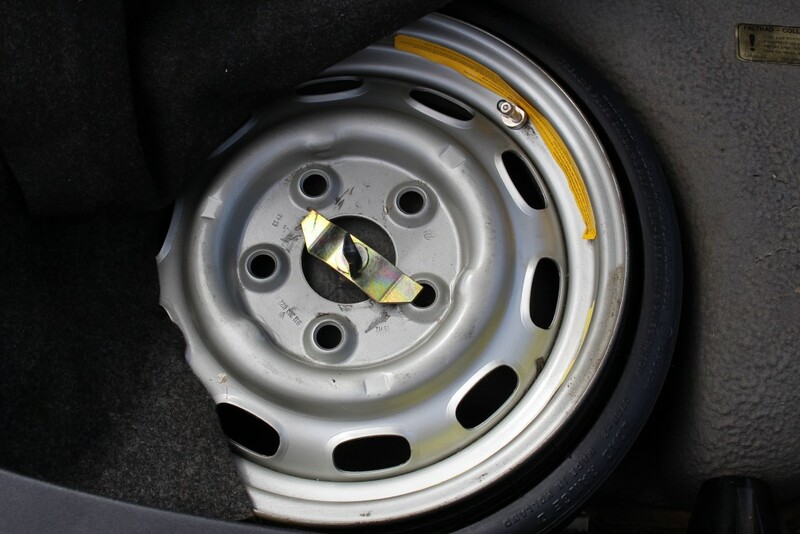 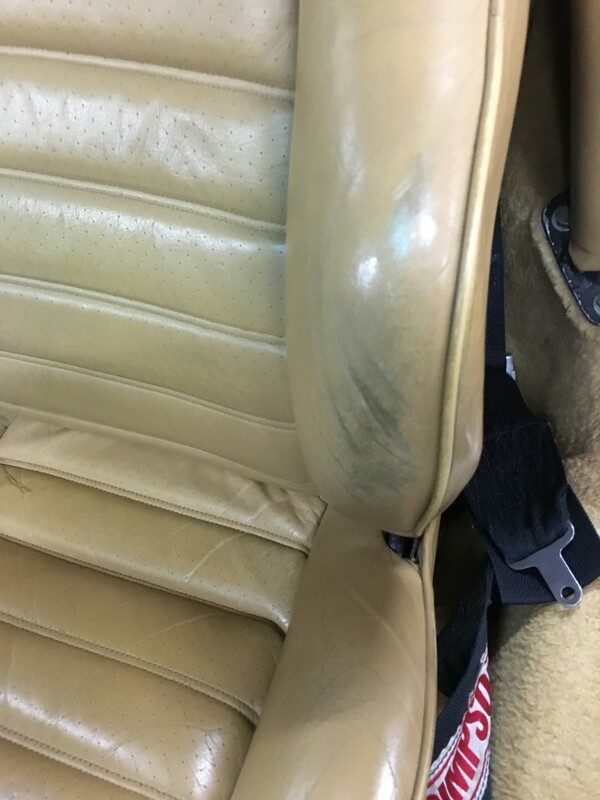 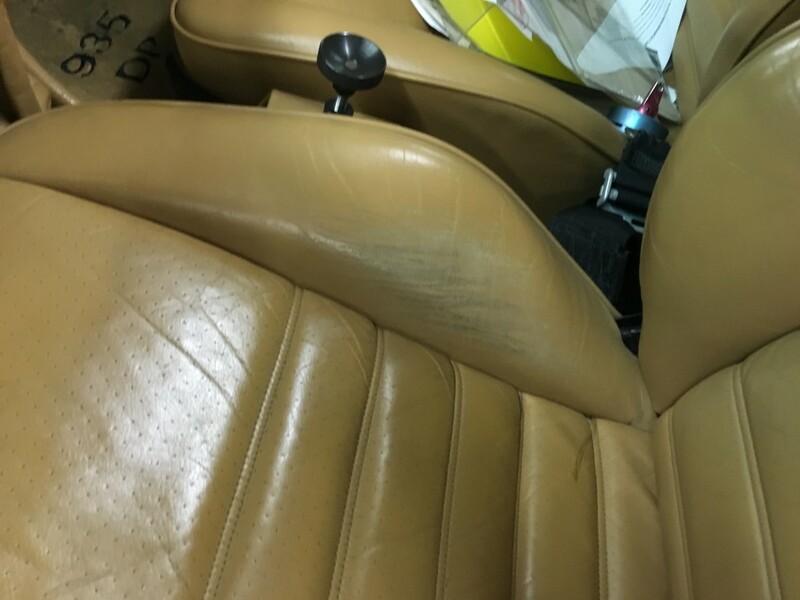 The car has been very well maintained and looks and shows extremely well. 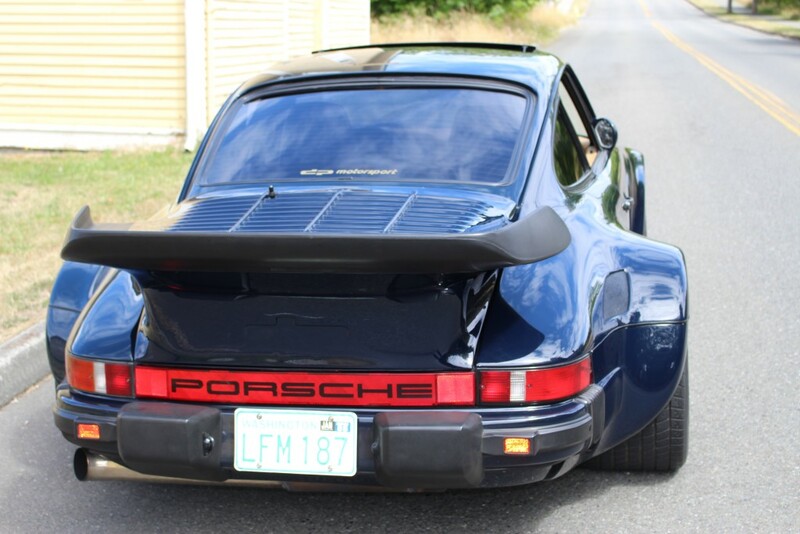 Runs very strong. 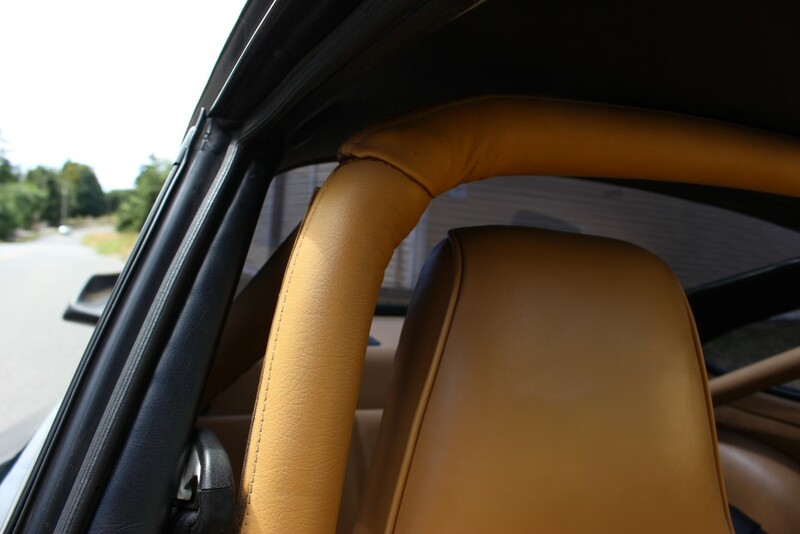 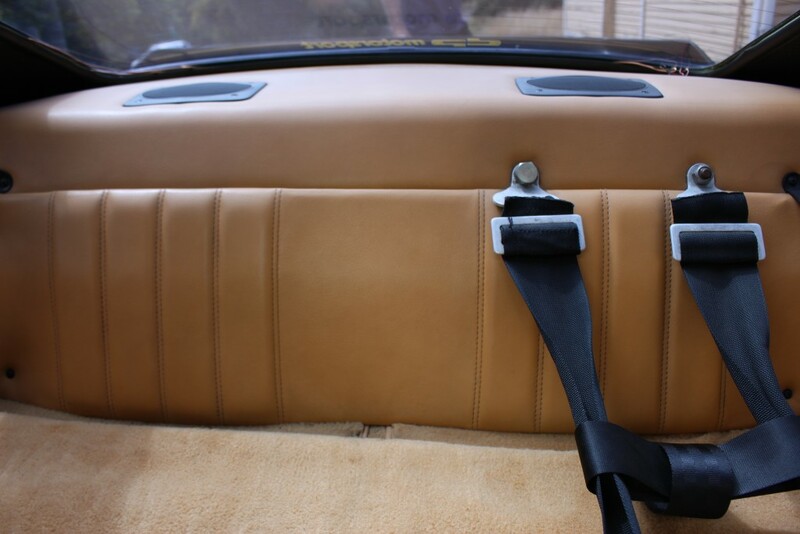 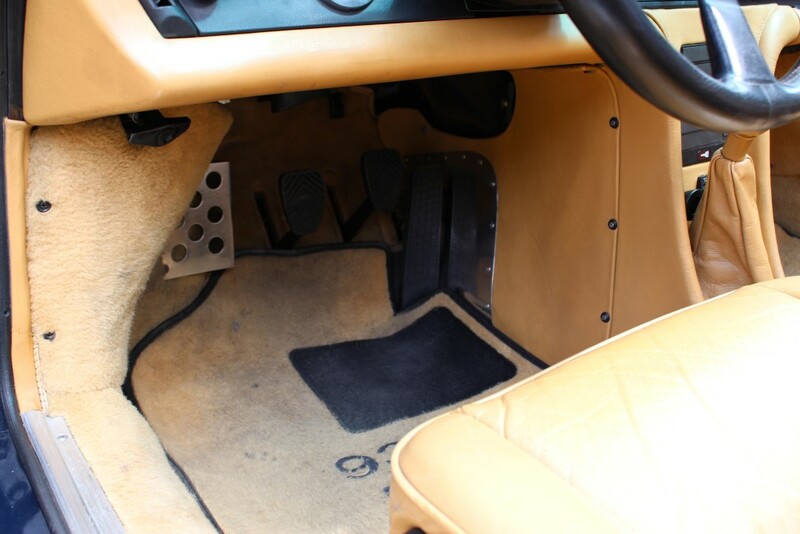 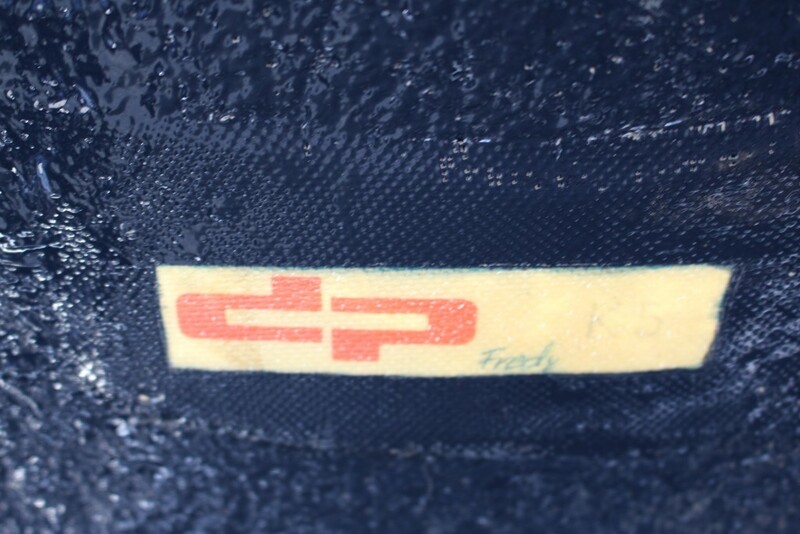 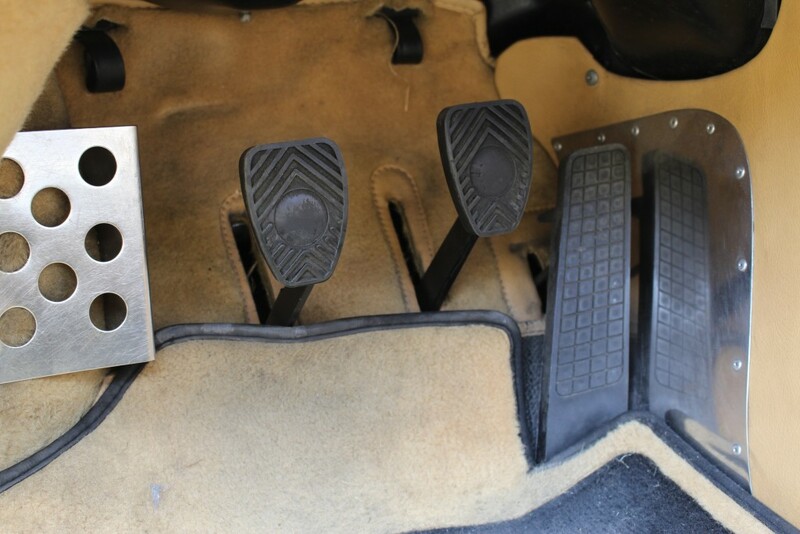 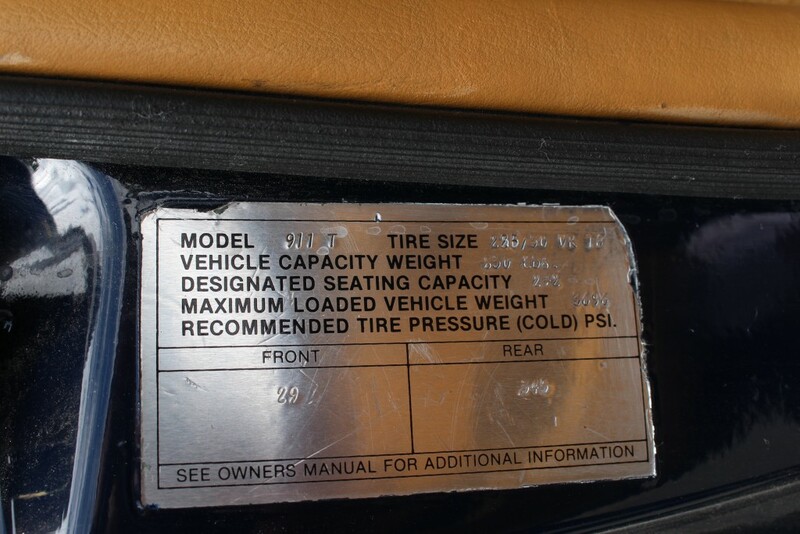 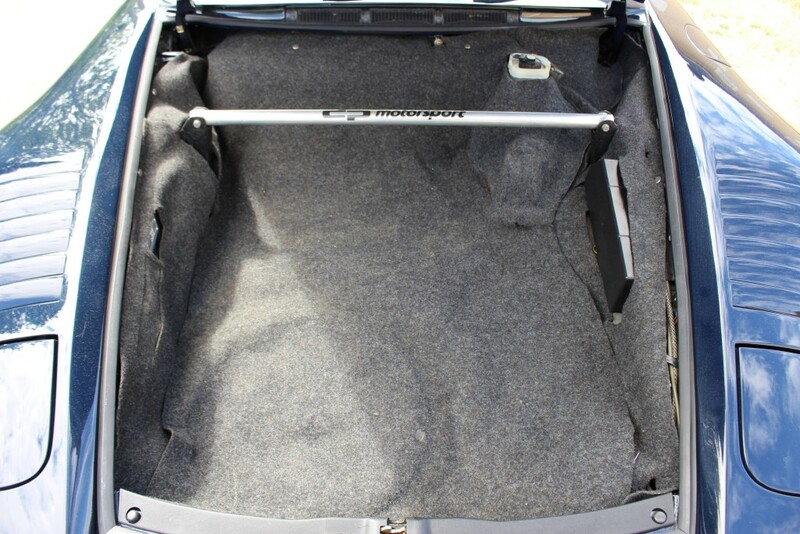 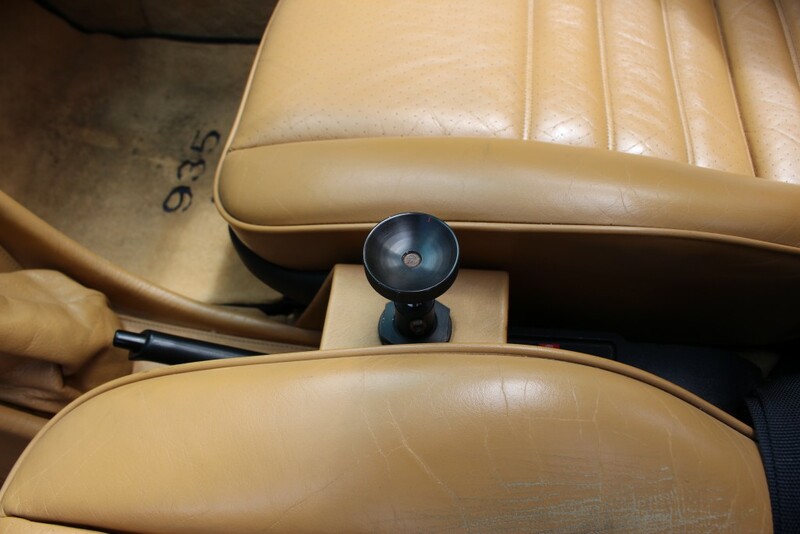 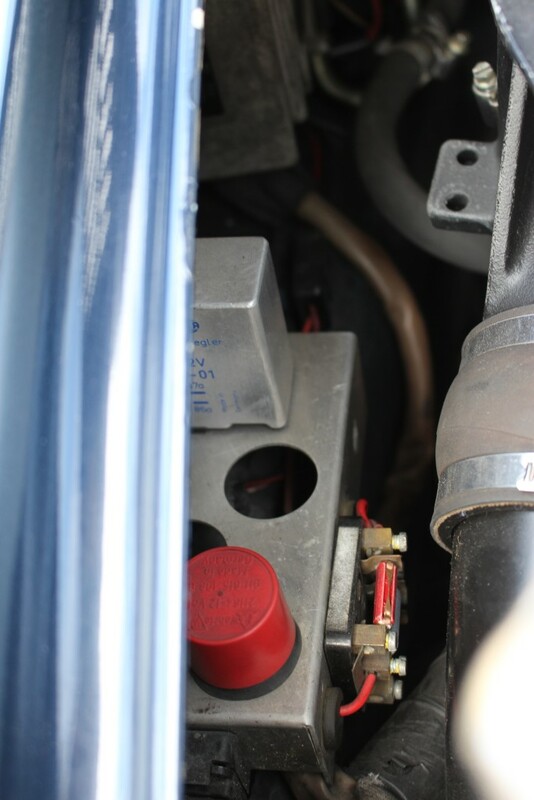 It has the adjustable turbo boost knob in between the seats which true DP's are known for. 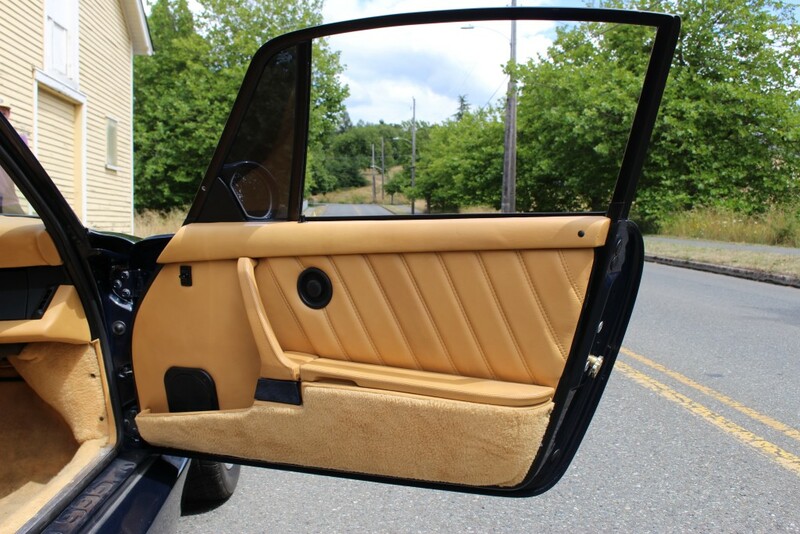 Only 16 made this year. 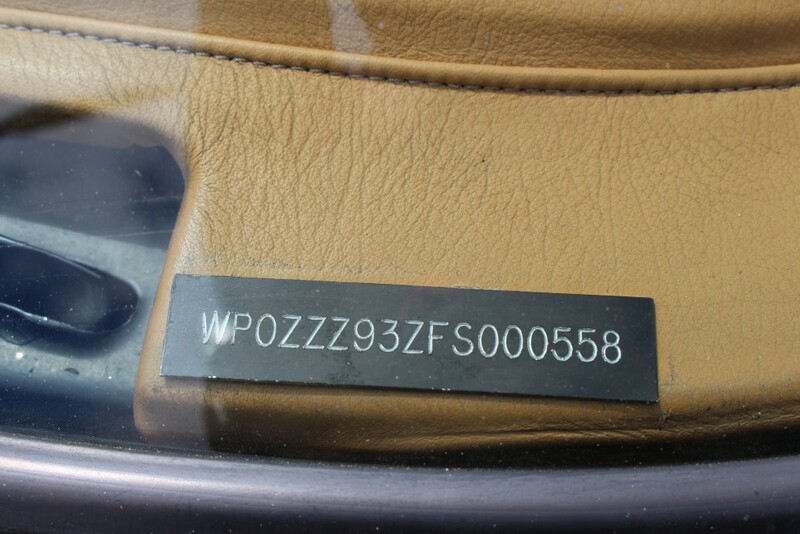 Very rare car. 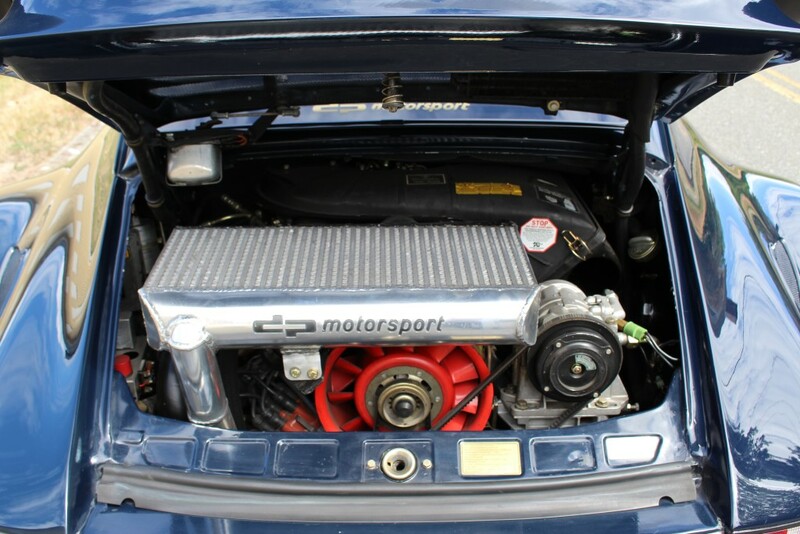 It has close to 500 hp stock. 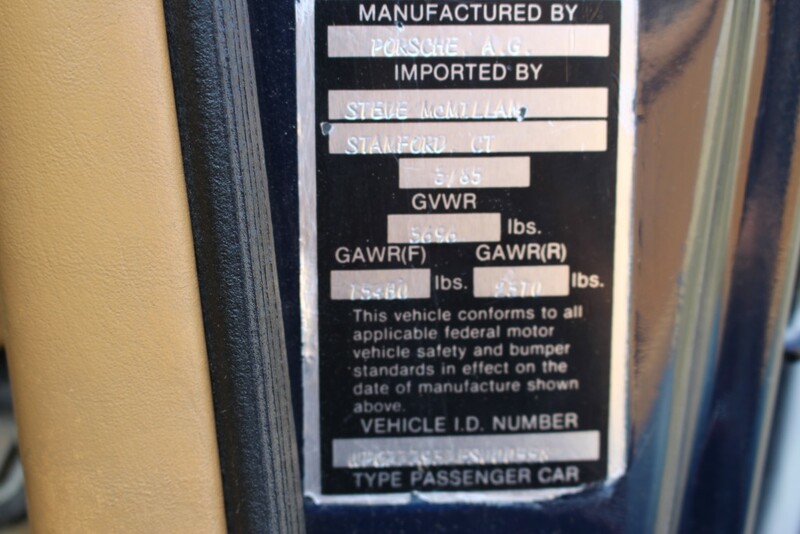 The car has never been wrecked or tracked to my knowledge. 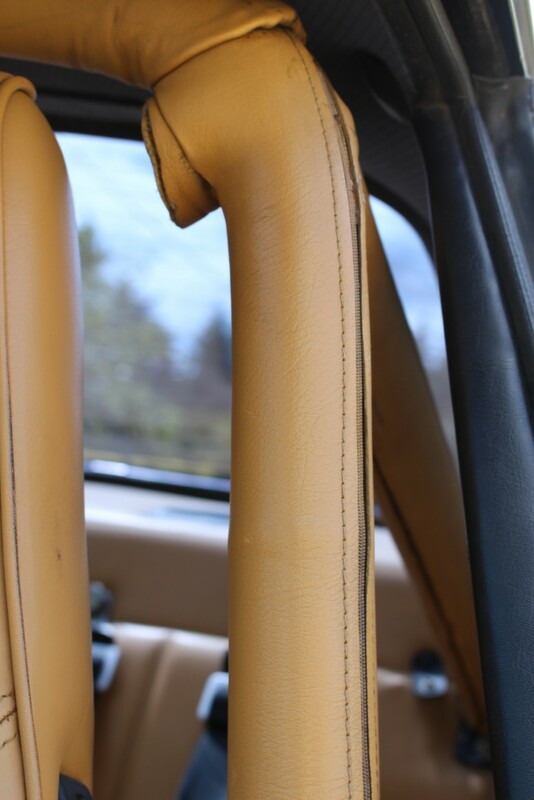 It's a lot of fun to drive and to look at! 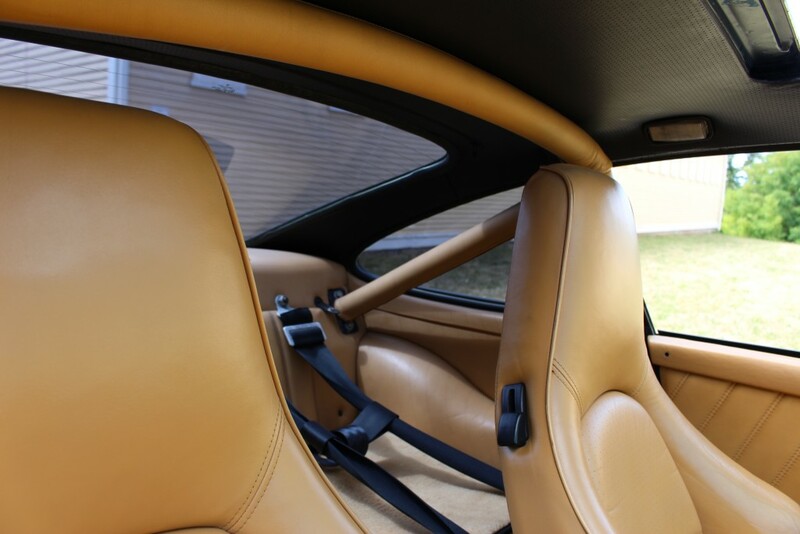 It receives a huge amount of attention no matter where it goes. 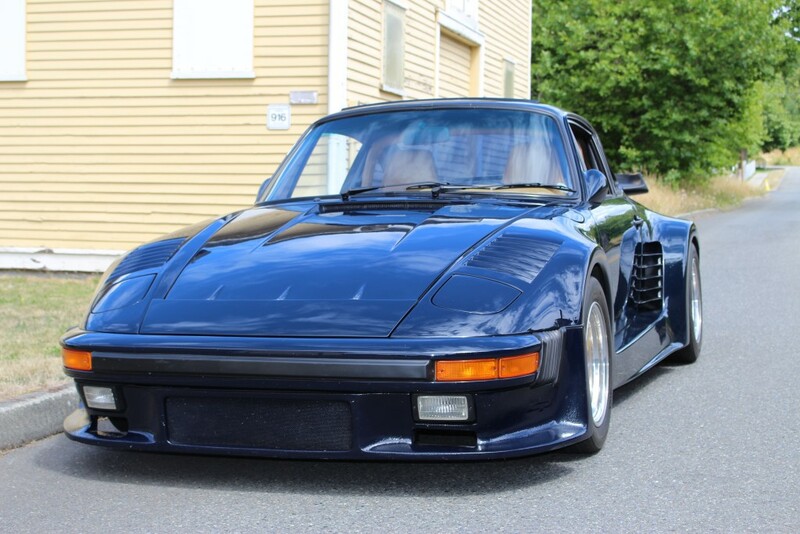 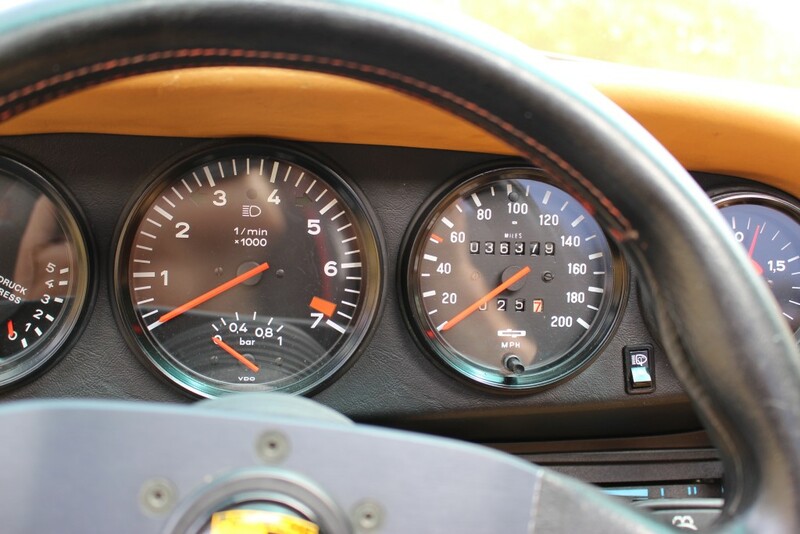 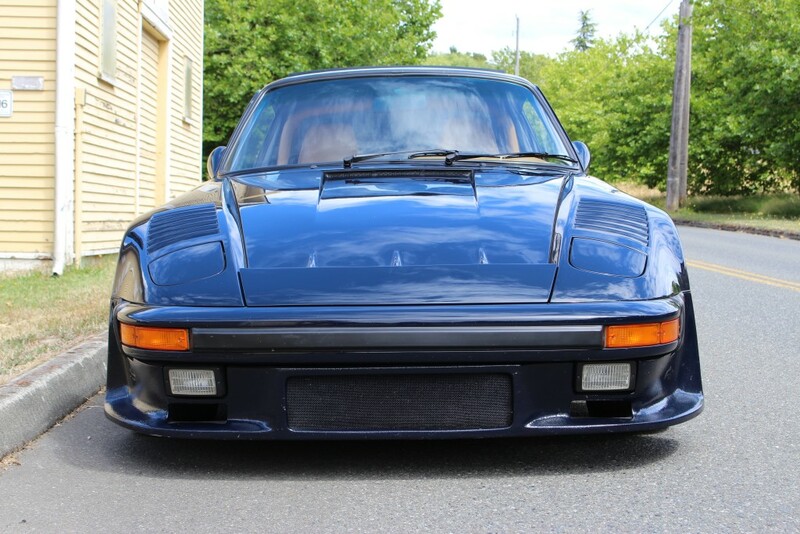 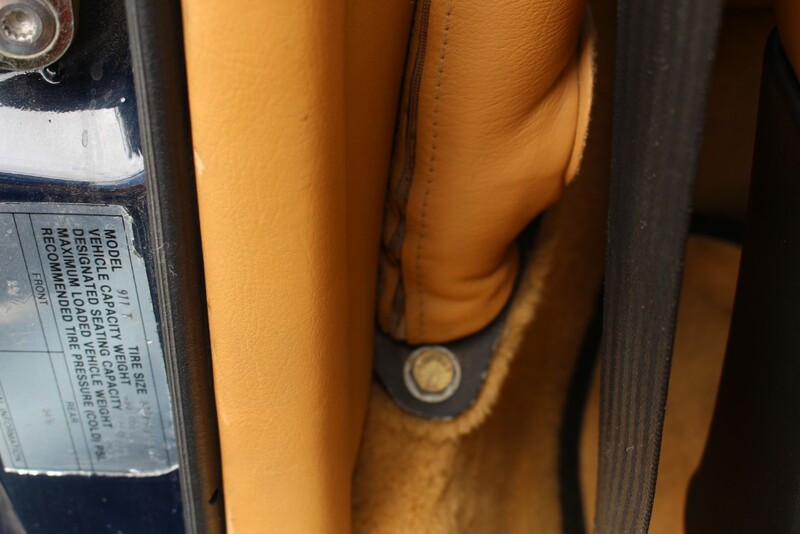 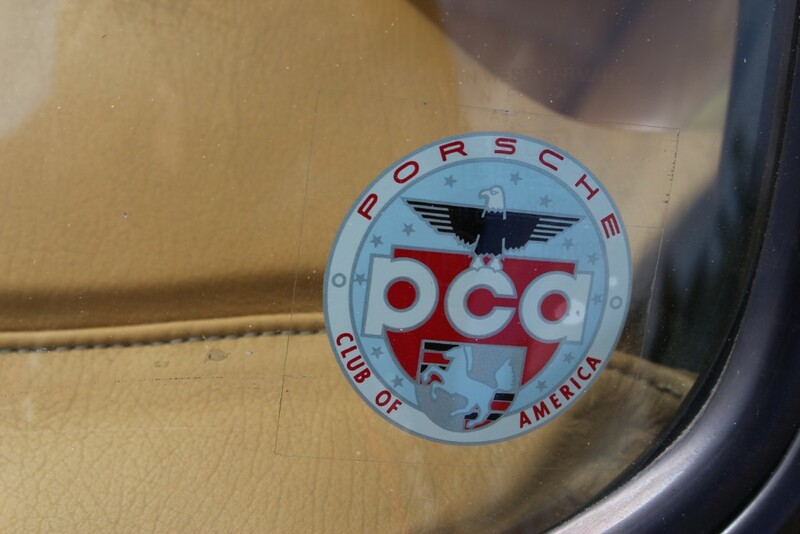 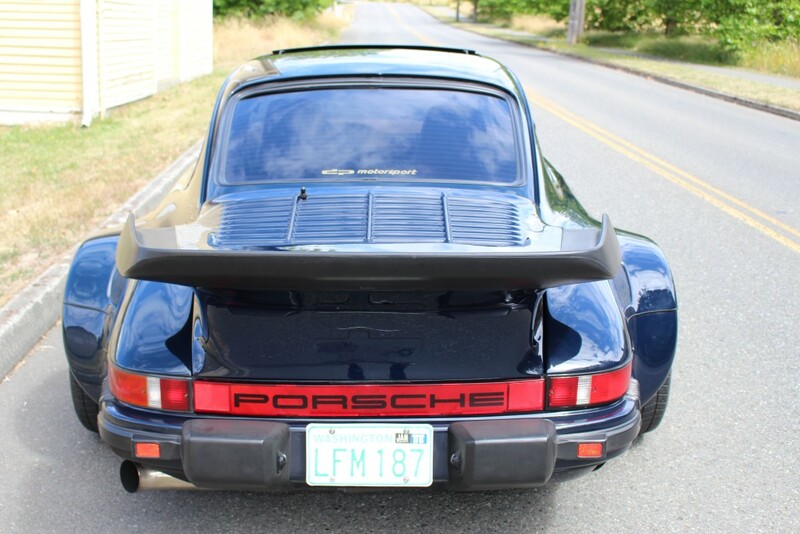 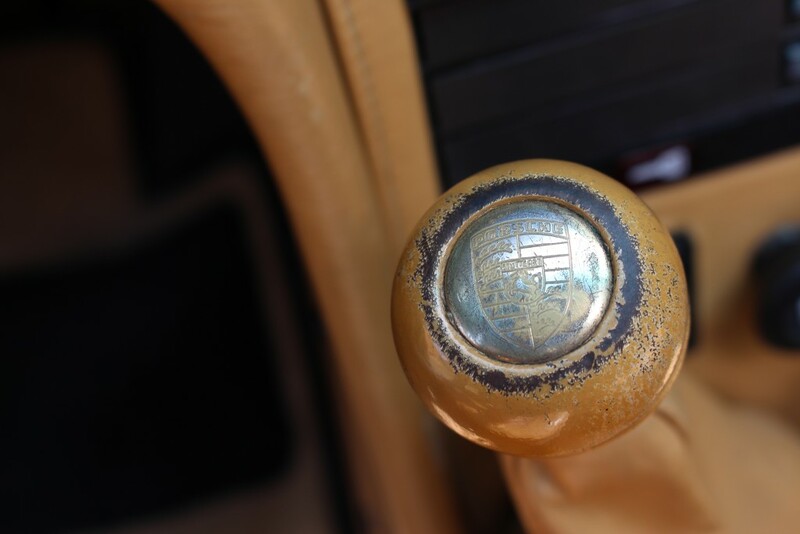 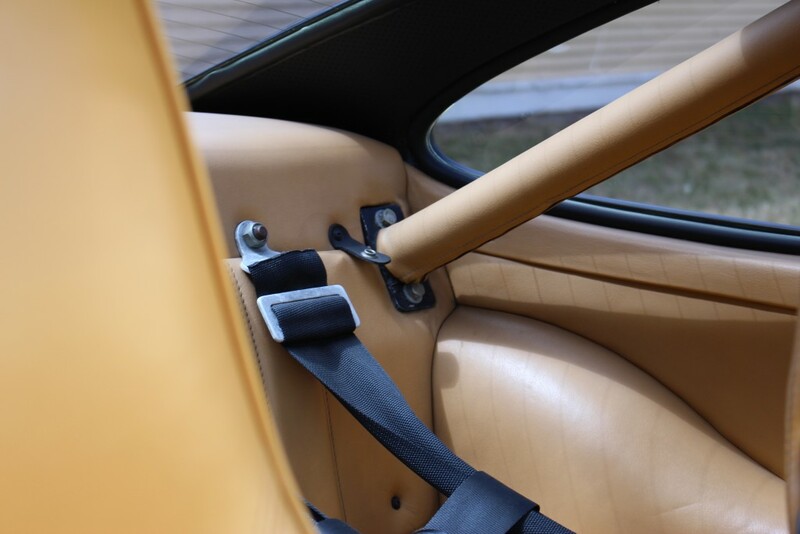 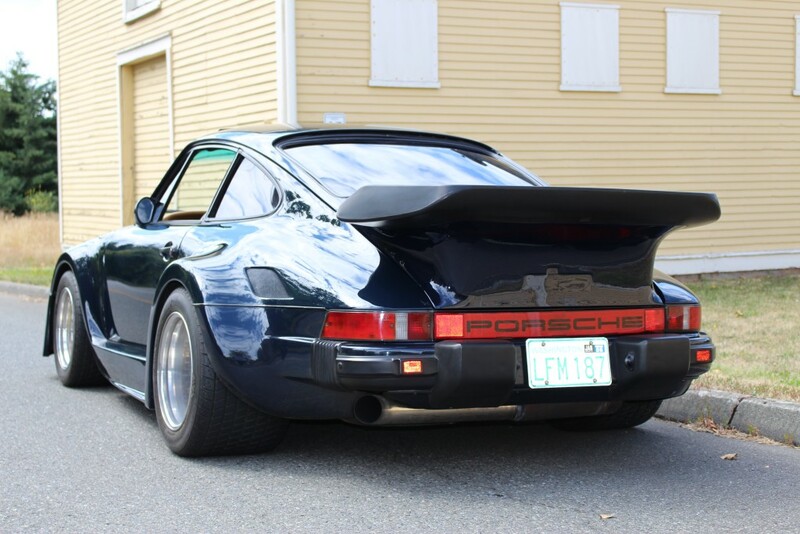 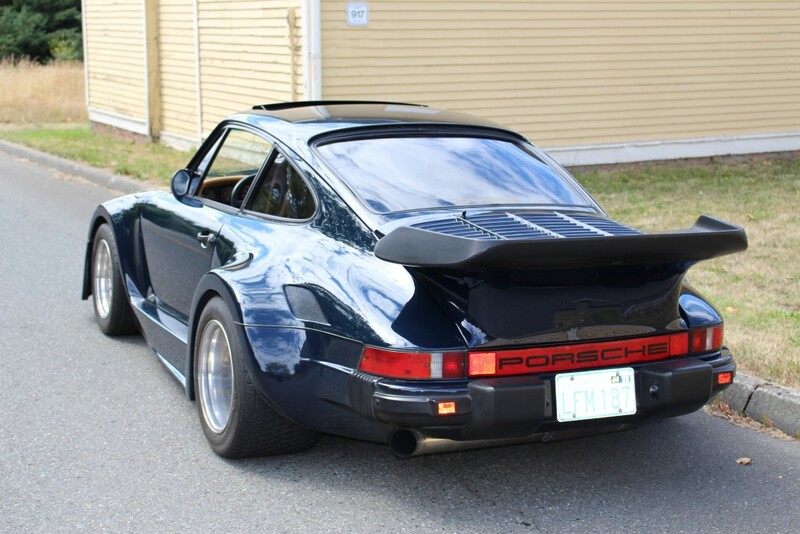 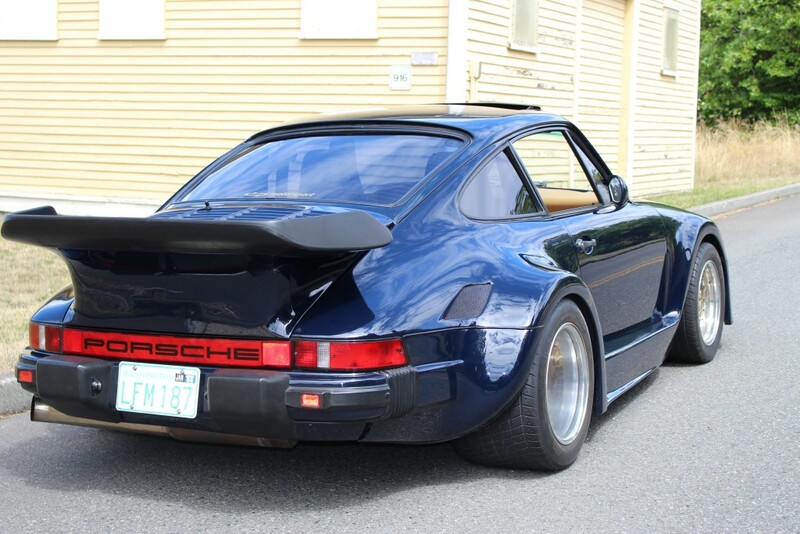 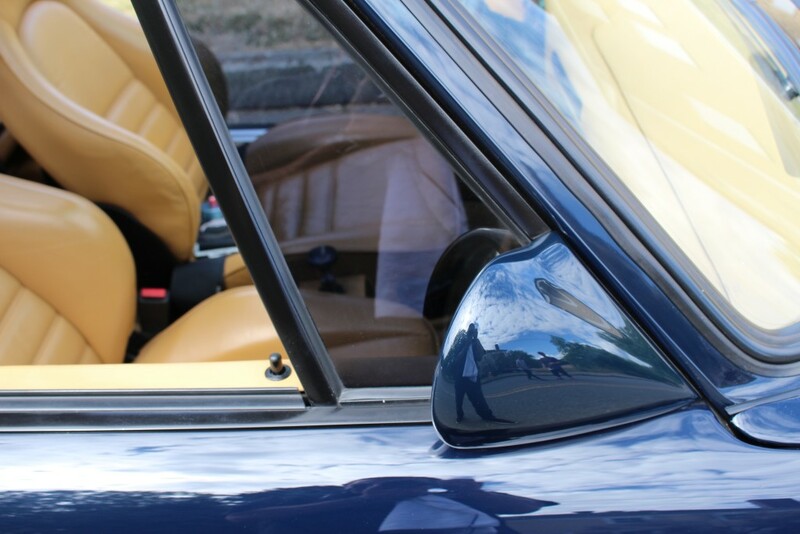 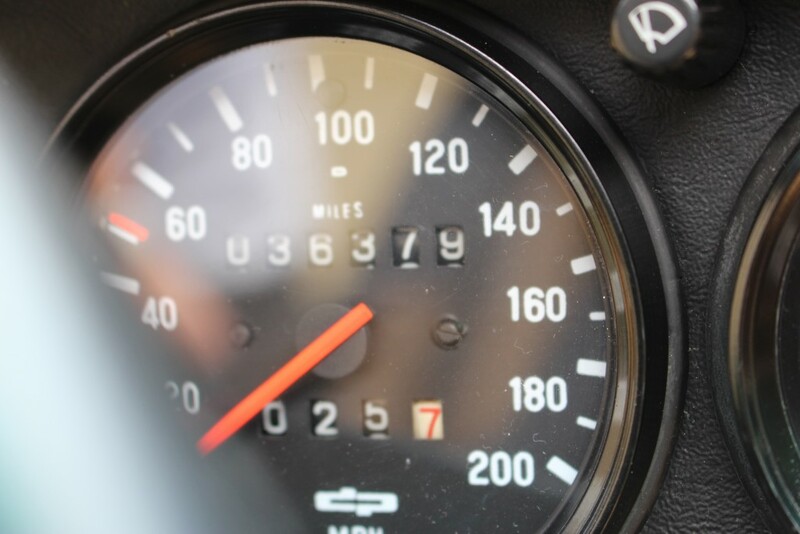 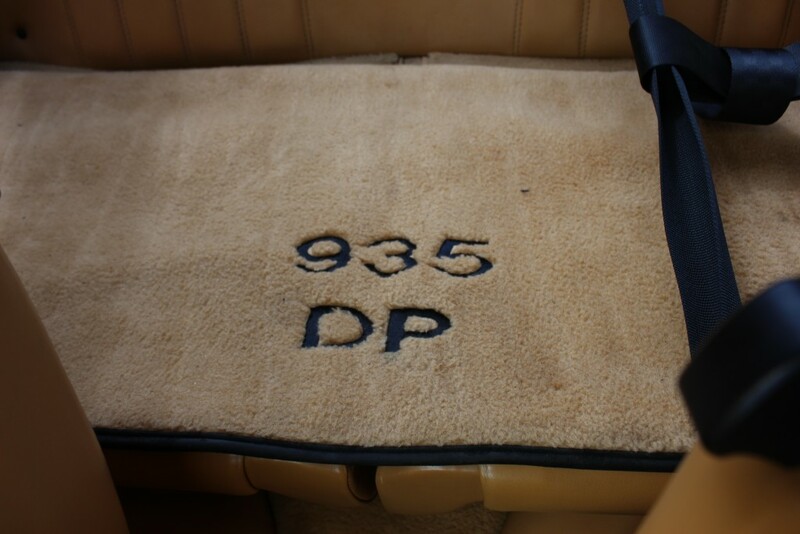 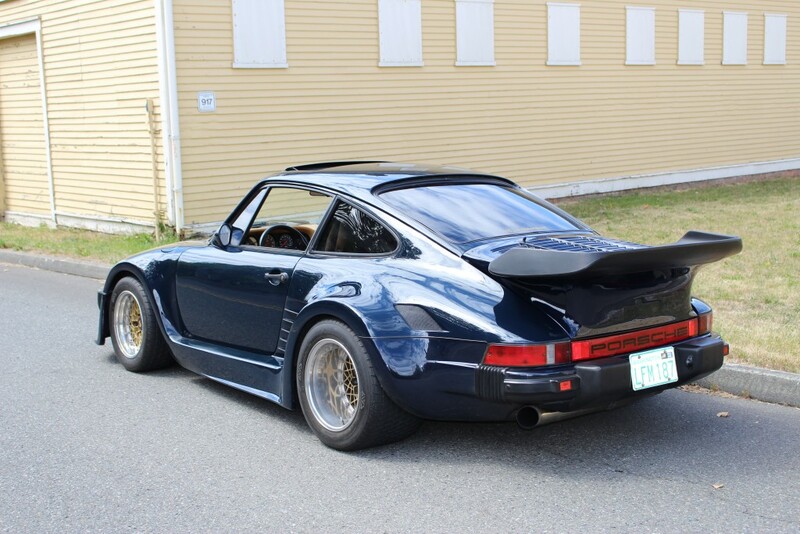 Genuine DP Motorsports Porsches rarely come onto the market, a fact that makes this a very attractive proposition for the dedicated Porsche collector. 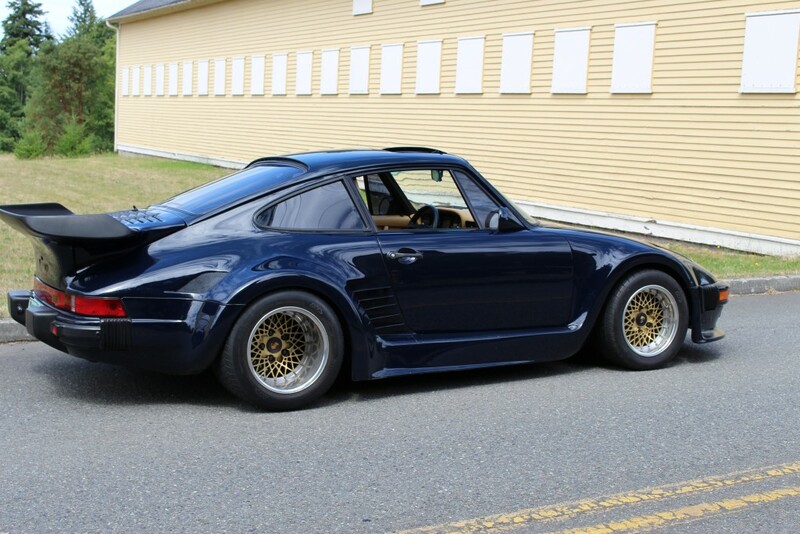 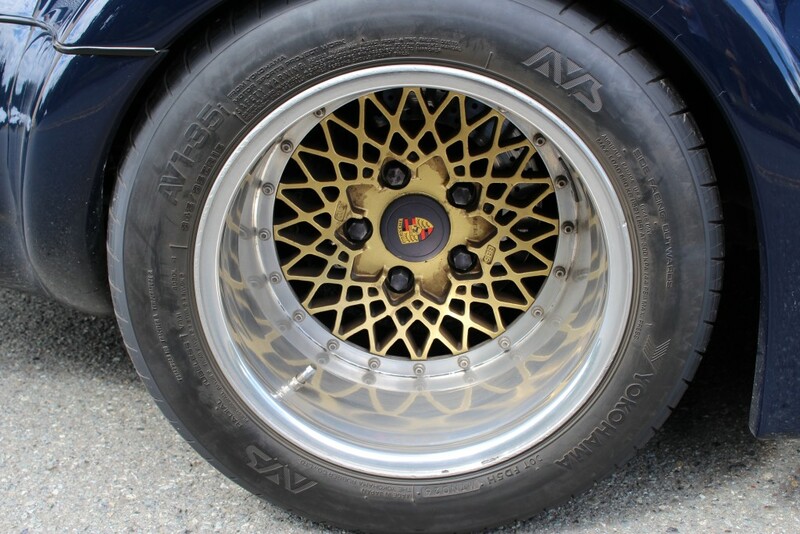 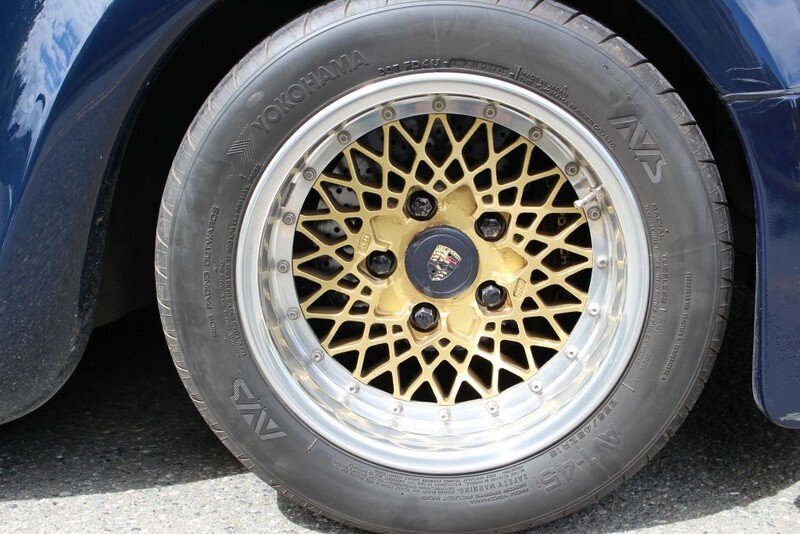 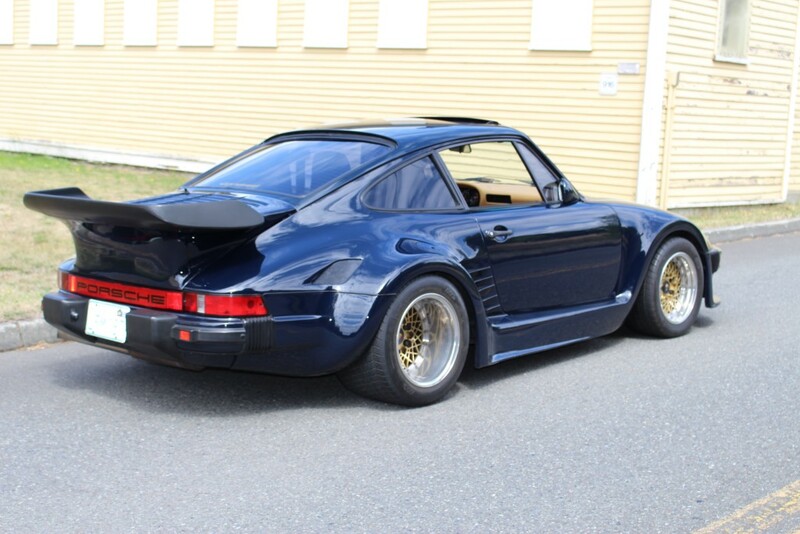 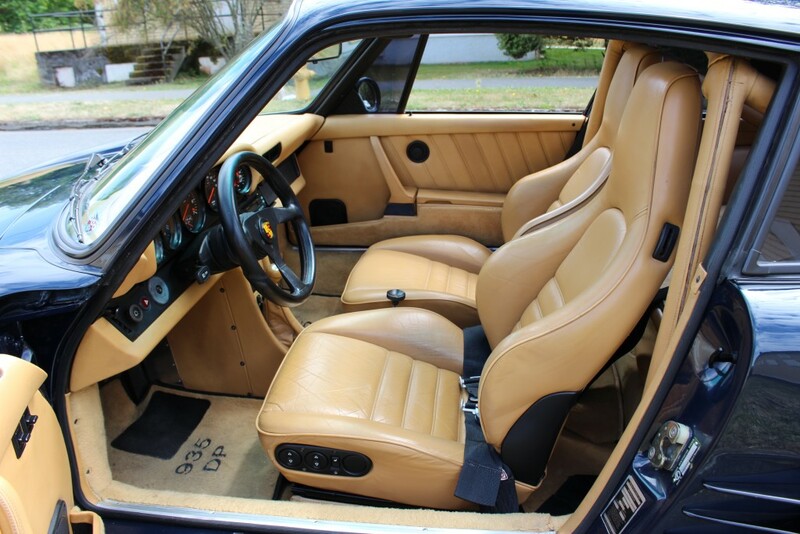 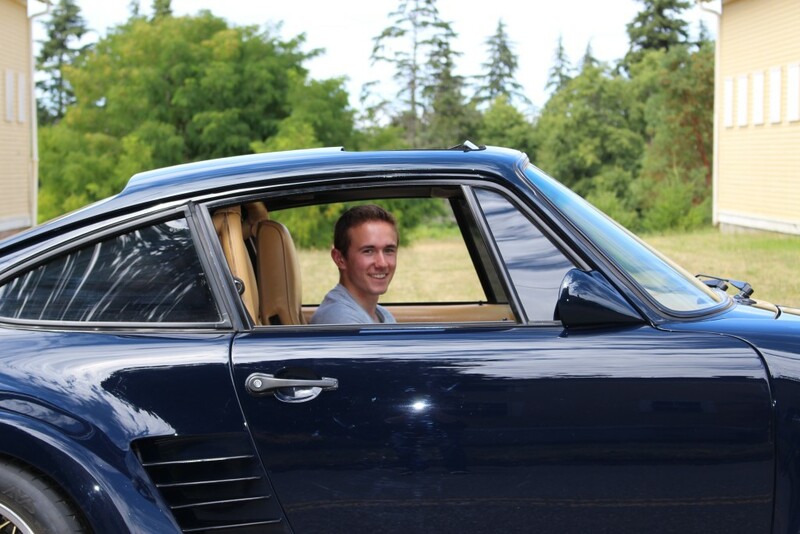 At only 3000 lbs, over 500 HP, adjustable boost, a huge intercooler, 4-speed manual gearbox, original paint and interior, original BBS rims and the highly-likely Mario Andretti history, this car will surely keep its place in the rarified Porsche collector world for years to come.